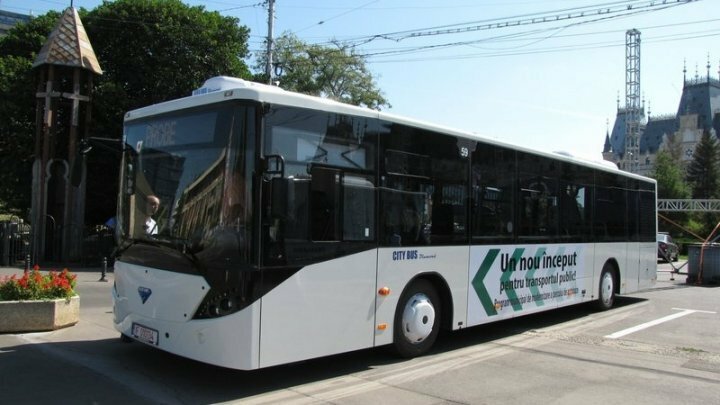 31 new buses will run on Chisinau streets by the end of the year, it has been announced by interim mayor of Capital. Ruslan Codreanu said a Romanian economic agent won the auction. The company sold buses to public transport companies in several major cities in Romania such as Iasi, Sibiu and Constanta. "400 thousand people who daily travel by public transports deserve comfort, safety not the feeling in buses which have run more than one million kilometers," Ruslan Codreanu, the interim mayor of Chisinau, said. Buses will be equipped with air conditioning and on-board cameras. Vehicles will have easier access for wheelchairs or baby carriages. 81 million lei was allocated from the city hall budget to purchase the bus. The newest buses running in Chisinau were bought 13 years ago. The average age of buses in the Capital is 17 years. They all have run over 1 million kilometers and 15 million lei is annually cost to repair the vehicles.